Your journey to a destination in the car with the kids can be a critical ingredient to the success of your day. There seem to be endless options of entertainment, but kids get bored with revisiting the same options over and over. A couple of rules in our car is that we all listen to the same thing, and any trip under an hour (one way) is audio only, over an hour and we can set up a movie. 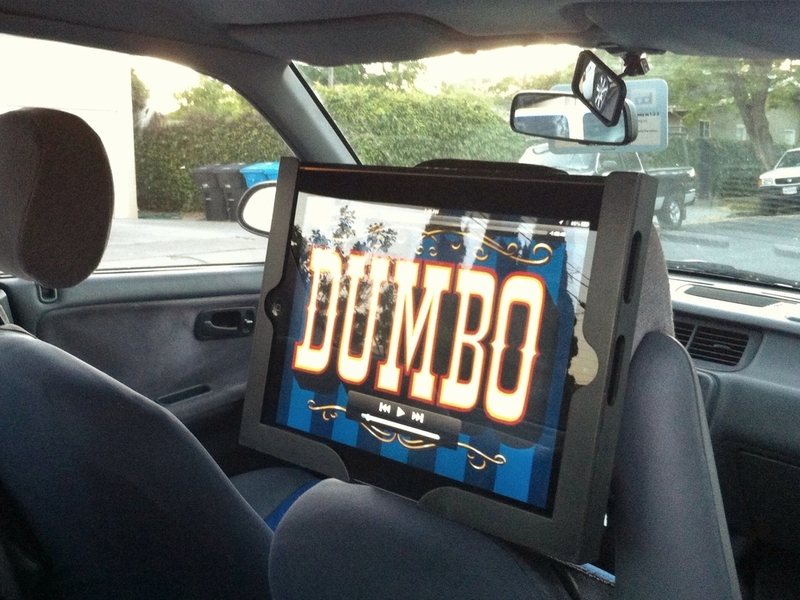 Our car is a bit older and there is no seat back entertainment system so we use an iPad with a special holder attached to a headrest with an audio cable connected to the car stereo. So it's a little bit of effort to get it all set up, and put it away once we reach our destination. Most of our trips are under an hour, so that means audio. And no matter how hard I've tried I can't get the kids to enjoy Click and Clack, or Weekend All Things Considered (once in a while I can squeeze in a little Prairie Home Companion). Even if I listened to more mainstream radio stations, the radio edits of songs like 'Blurred Lines' or 'Gangnam' Style aren't exactly what I want the kids listening to. More car stereos have some kind of auxiliary input these days, and that means you can use an app on your phone for music which gives you a fair amount of control over what the kids are listening to. There are a few options out there to choose from, you might already be using one for yourself. Some popular choices include Spotify, Rdio, Mog, and Pandora. For the purposes of this article we are going to focus on Spotify. Rdio and Mog have similar setups and slightly different selections. Pandora is great for music discovery but this article is about curating a playlist for your kids. If you've used any of these services, you probably have a number of playlists with your favorites. But have you also realized there is also a huge selection of music geared toward kids? (set up for all ages). Once you have your initial playlist set up and start listening to it, the app will start offering you suggestions based on your listening history and you can start trying new tracks and artists out. It's probably best to have a couple of playlists, one for trying out new selections and one for tracks you know are winners. You can certainly make more too. Some of these apps also offer an offline option to store a playlist directly on your device. This can be great if you have a limited data plan, or want to load a bunch of stuff onto an older phone over wifi at home and let the kids play DJ in the back seat to help keep them engaged. We have an old Android phone loaded with Spotify and a couple of playlists connected to a 6 foot auxiliary cable, so quite often the kids are running the show from the back seat. The songs we pick are meant to be fun, and we all tend to sing along with them, along with make up silly lyrics. It's a great way to pass boring driving time stuck in traffic, and it sets the tone for the day that we are going to have fun. If you have a favorite to add to the list, let us know in the comments!